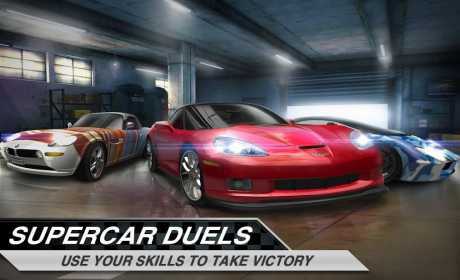 Compete against other racers in drag racing duels. Tap the accelerator to get the best start, shift gears and use nitrous at the right moment and get the winning edge. Leave your opponents in your rear-view! 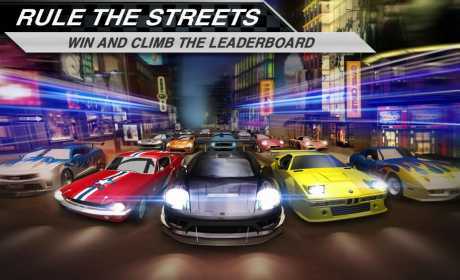 ● Race Modes: Take part in a variety of different race modes that will test your skills. Become a true racing legend! 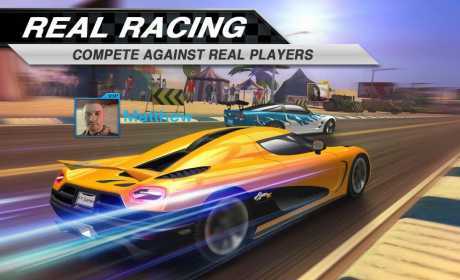 ● Real-Time Vs Races: Compete in real-time competitions against 7 other racers who are all fighting to be crowned champion! Battle with racers around the world for Honor and Cash. ● Clubs: Join racing clubs and make new friends. Race together against rival clubs and take the Honor for your club. What’s more, you can ask your clubmates for help to speed up modifications to your car. You’ll also receive fantastic rewards for helping others! ● Graphics: Light Shadow – the most realistic racing experience! Enjoy the most sophisticated 3D racing game on your phone. ● Chat: Enjoy real-time chat with players around the globe in world chat, between your clubmates and one-to-one with friends. ● Cars: More than 20 officially licensed cars from some of the world’s greatest manufacturers including supercars such as the SSC Tuatara, Koenigsegg CCXR Trevita and Saleen S7 Twin Turbo. ● Languages: We currently support English, Chinese, French, German, Spanish and Russian. Other languages will be supported very soon. ● Customization: You can customize your car with new paint jobs, decals and even a personalized license plate.